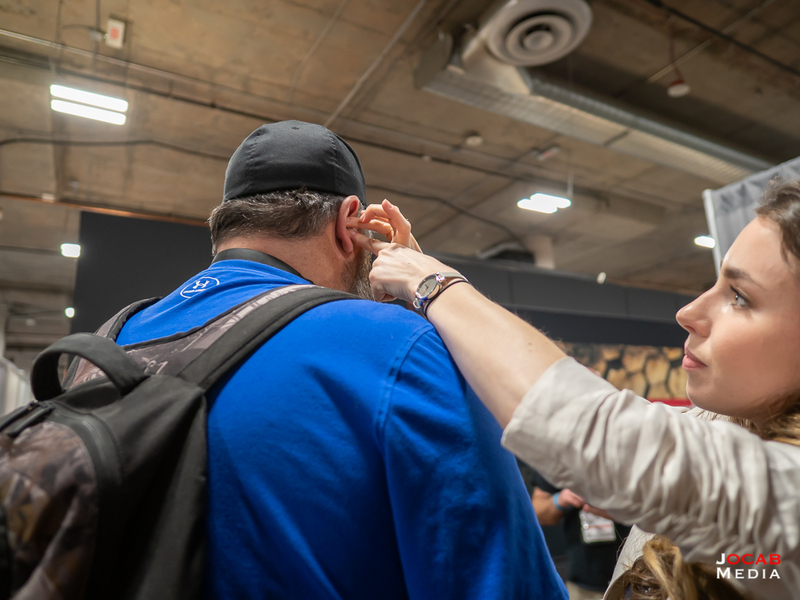 One week ago today, 2019 SHOT Show came to a close. 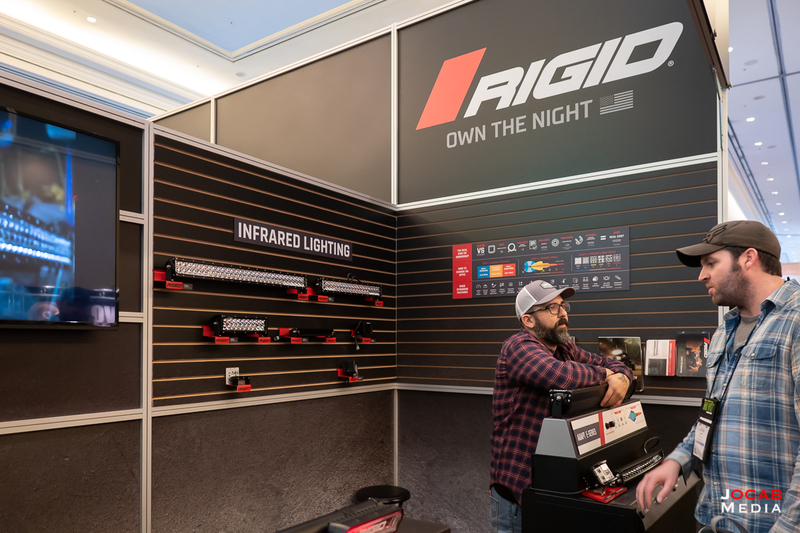 In several After Action Report segments I covered a number of products that I saw at this year’s show. Obviously, I did not mention everything new and there are few items that I did see that I didn’t bother to take photos of (e.g. some new Glocks). But there is so much media at the SHOT Show that someone will have posted some information on a given new product. Jim Scoutten, longtime shooting sports industry journalist. 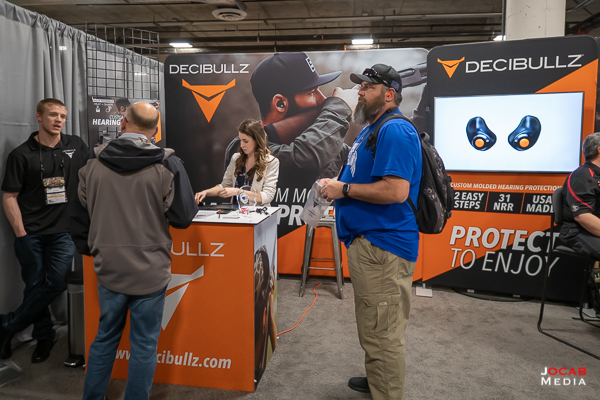 I wanted to give one special mention to Decibullz who manufactures custom molded hearing protection. 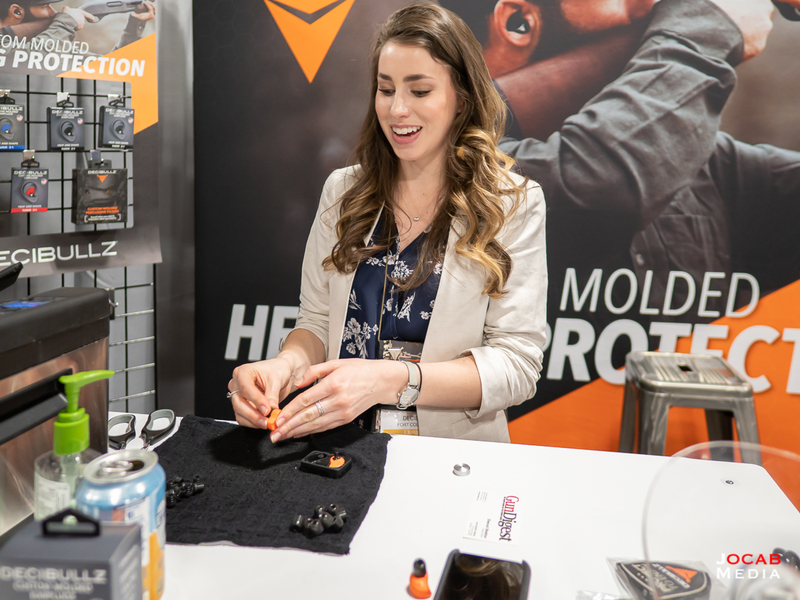 The premise of Decibullz is that the kit is designed for the users to mold the earplugs for themselves at home by putting the plugs in boiled water which softens the plugs to be inserted into the ear for molding. Decibullz was demonstrating how the plugs are molded to the ear for anyone interested, which meant you got a pair of free earplugs. Decibullz are re-moldable as well, so you can remold them if you are unhappy with the first attempt. 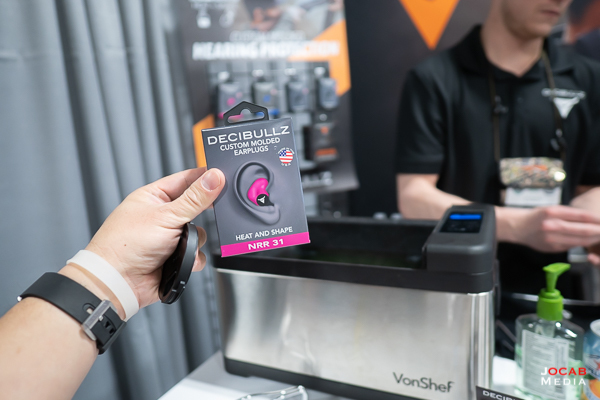 Decibullz earplugs have been around for a few years now and are actually available in CVS stores throughout the United States. 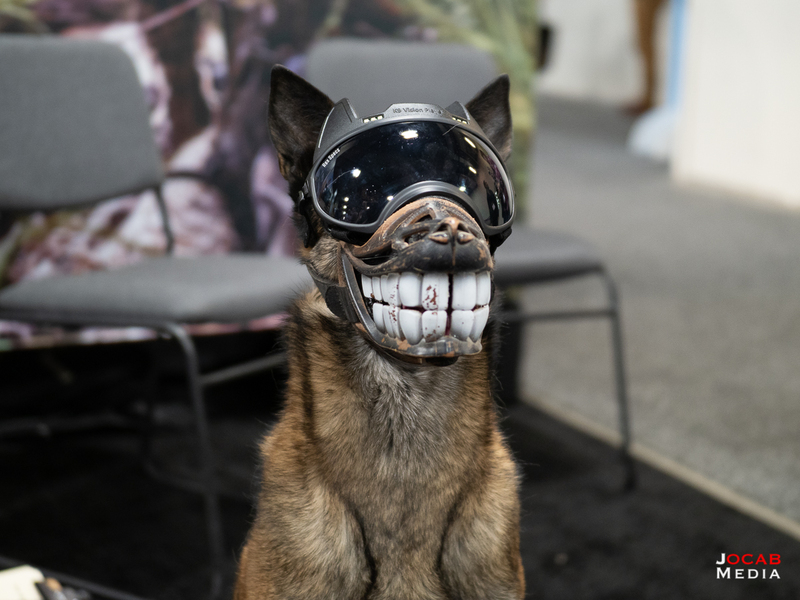 My general feeling of this year’s SHOT Show is that it was relatively mild. It is a bit difficult to describe the atmosphere, but there simply wasn’t that flair as in some of the years prior. 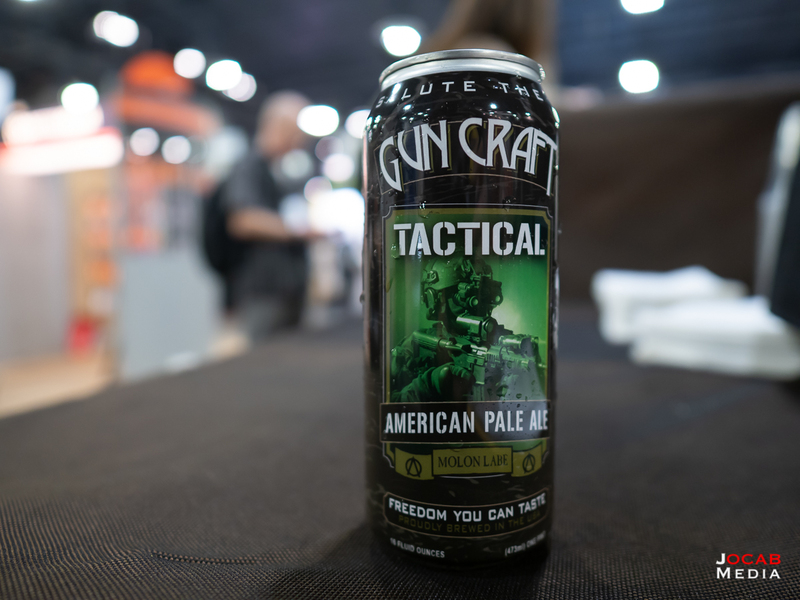 In my opinion, there are a few factors when combined, contributed to a sense of listlessness or lethargy at SHOT Show 2019. 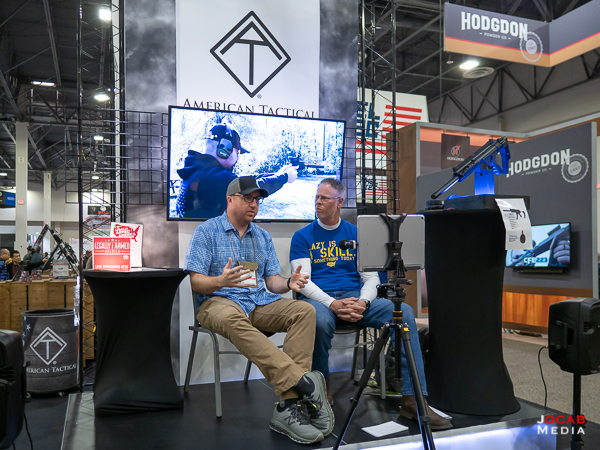 Live casting from 2019 SHOT Show. One is a saturated market. There are plenty of firearms manufacturers, parts manufacturers, ammunition manufacturers, accessories manufacturers, and so on. While this is a good thing in that consumers have options, it does become saturated to a point where there are manufacturers all making the same solution with a different name on it. Another factor is a lack of innovation. That is not to say that the firearms industry is not trying to make new things. Moore’s Law predicted the exponential advancement of microprocessor technology, but the doubling of processor power every two years eventually stalled and the microprocessor industry hit a wall because of physics. 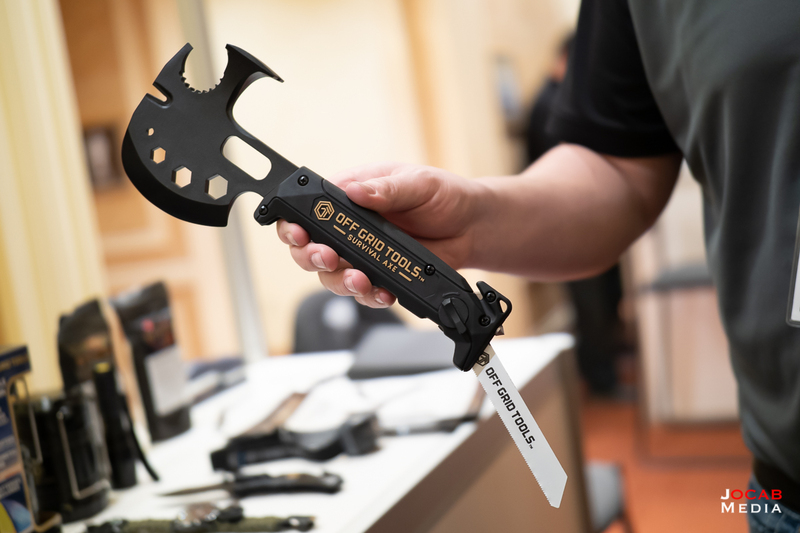 In a relatable notion, the firearms industry in recent years has made innovations and rode trends in the past few decades (e.g. rise of .40S&W, boom in popularity of the AR-15, 3-gun competition). But now, there really is no specific demand from consumers that requires the industry to create revolutionary products. Controversially, I do not see this innovation wall to be broken through until the industry starts making so-called “smart guns” or firearms with integrated electronics. Then there is the slowdown in sales. I don’t have hard figures to backup that statement and if you listen to the far right / conservative media, they will say sales are still great under the current Presidential Administration, while the far left will say firearms sales are dropping because of a Republican President. But I know a few firearms dealers who freely discuss the trends they are seeing and they tell me that sales have definitely slowed down in the past few years. Of course, this may just be California due to the very finite pool of firearms Californians are allowed to purchase. 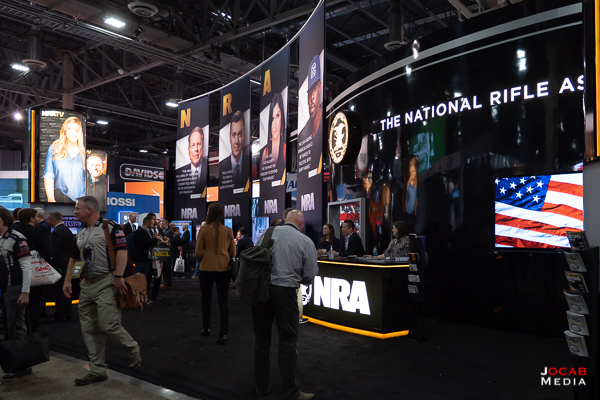 I was speaking to some fellow media in the SHOT Show Press Room when I took a break from the show floor, and a discussion emerged regarding the encroachment on the Second Amendment in all states. States that were once very quite friendly are now seeing proposed bills to enact laws once only reserved for California and New York. I do feel that right now the industry is in a very odd spot right now. The firearms manufacturers need to start focusing really hard on a couple things. For one, start increasing quality control. The big name manufacturers now have a diverse product portfolio. But quality control can be improved, especially for those companies who have been lacking (hint: Remington Arms). A second focus should be on converting non-gun owners into firearms owners and advocates. The manufacturers are obviously in the business of making money and that is by selling product. But when the customer base is not growing, this negatively impacts that goal. Instead of trying to create new products to sell to the same customers, the manufacturers should make more efforts to grow the customer base in which their products can be sold to. This means making huge efforts to promote shooting sports. This does not mean only competitive shooting. When I talk about shooting sports I include shooting as recreation as well as hunting. Manufacturers should start investing their marketing budget on campaigns specifically to attract non-shooters and/or people who do not own firearms. 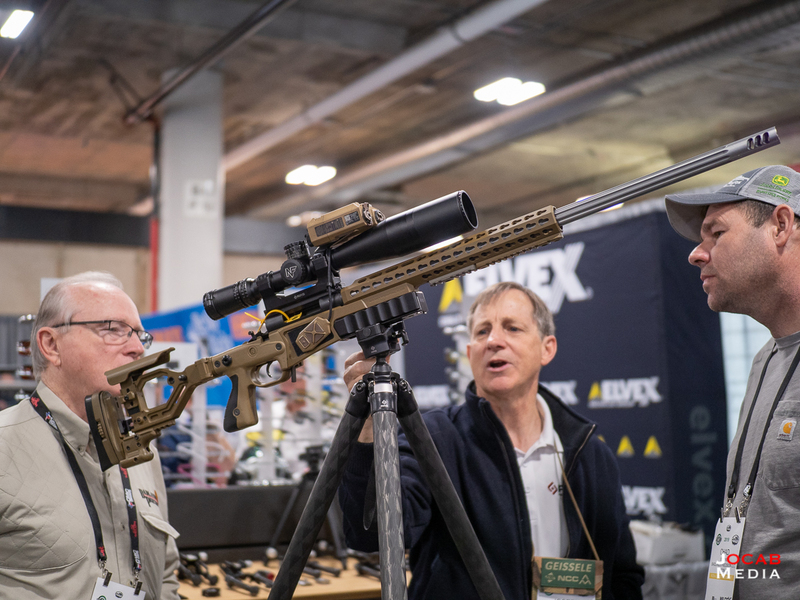 This could include a number of things like sponsored range days for prospective first time gun owners or marketing at non-firearms events with an overlapping customer interest base. As far as marketing to other customer pools in lateral interests, I saw the reverse of this at 2019 SHOT with first-time SHOT exhibitors from the off-road industry. For instance, I stumbled upon Bubba Rope in the SHOT Show NEXT Pavilion (the section for new SHOT Show exhibitors). For those not familiar with Bubba Rope, this company manufacturers vehicle recovery gear, specifically recovery ropes and synthetic/soft shackles. I actually have Bubba Rope Gator-Jaw soft shackles in my Jeep recovery bag. 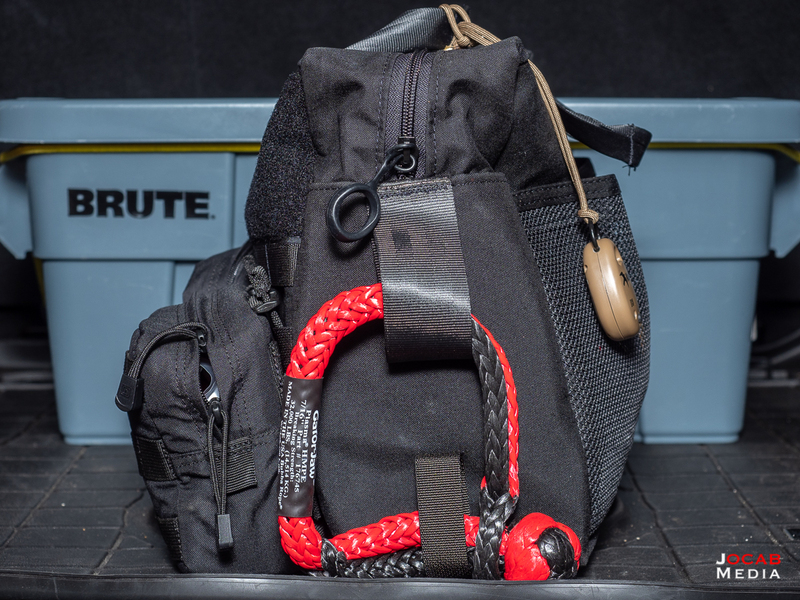 Side view of author’s Recovery Bag with Bubba Rope Gator-Jaw soft shackle. When I was speaking to the Bubba Rope representatives, they told me the reason why they came to SHOT Show is because they discovered that they had a huge customer base in the shooting industry who did not consider themselves off-roaders, but were potential off-road / vehicle recovery customers. Bubba Rope would only go to off-road events and expos, but was losing out on all those firearms owners and shooters who never went to off-road shows, but drove vehicles that went off-road in some capacity (e.g. driving out on to BLM land to shoot). The same concept can apply in reverse for the firearms industry. It might seem awkward, but shooting industry companies should promote at off-road events and overland / camping expos, and then perhaps branch out into other lateral sporting events like Ironman, triathlons, and the like. When firearms and shooting industry companies promote in other areas, they shouldn’t overtly promote their products. Rather the companies need to share shooing as a safe, family friendly recreational hobby and/or competitive sport in general. Anyway, I am not saying these ideas are the solution, but are definitely valid ideas to help spark the industry in these uncertain times. 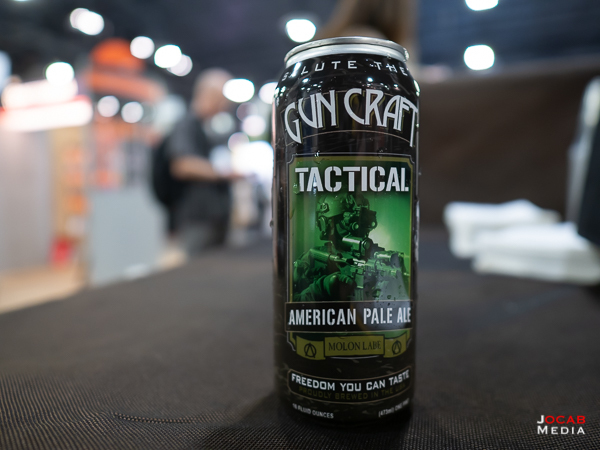 One last observation I will bring up is the fact that I noticed a lot free beer at the SHOT Show this year. In previous years, there were always a few vendors spread out through the show giving out free pours from a keg starting around 1600 hours or so each day. But it seemed at least to me that there were far more exhibitors handing out free pours (or cans as seen above) of beer as well as wine. It always irked me when I saw people in past SHOT Shows paying $10+ for a can of Budweiser or Coors Light at the Sands Expo vendors. At this year’s show, if you paid for alcohol, you pretty much threw money away considering you could have easily gotten beer for free (or donated $5 for the pour at fundraising exhibitors). Then again, I saw people walking around with Sands Expo purchased beers at 0900, so I guess they really needed that alcohol. 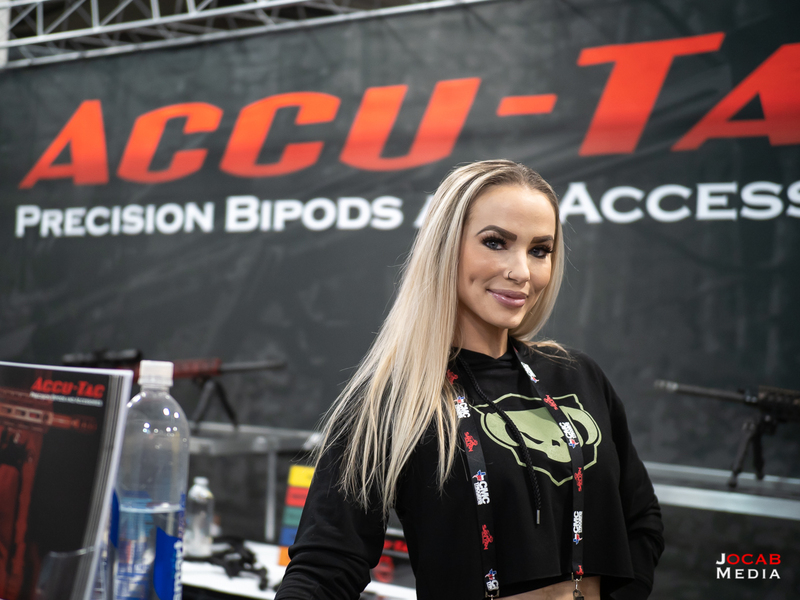 I conclude my 2019 SHOT Show After Action Report with some more photos of the happenings at SHOT Show 2019. 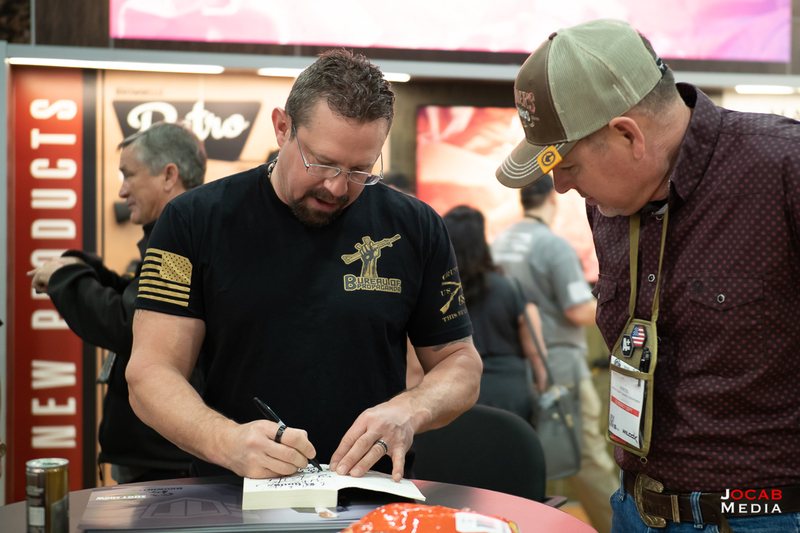 John “Tig” Tiegen, Member of Benghazi Annex Security Team Security and Military Consultant, Hero of Benghazi Attack, Co-Author of 13 Hours signing at Brownells booth. Off Grid Tools Survival Axe in NEXT pavilion. Dana Loesch at MAGLITE booth. Really Right Stuff SOAR booth. Rigid Industries exhibiting with TNVC. Casey Cook aka @buff_cookie (IG) at Riton Optics booth. 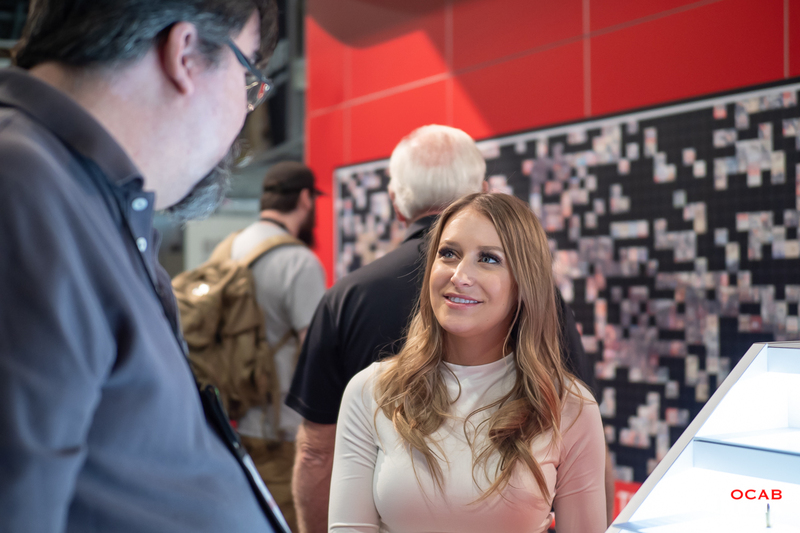 Thanks for reading my 2019 SHOT Show After Action Report. I definitely did not cover everything at SHOT Show. My after action report serves as at summary of my perspective of this year’s show. 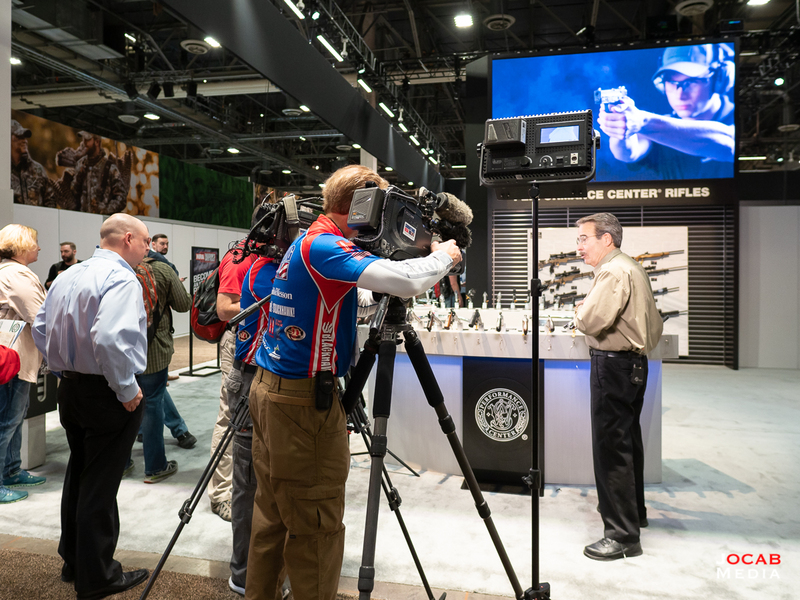 I encourage you to visit other media outlets to get other perspectives and more recaps of SHOT Show 2019. 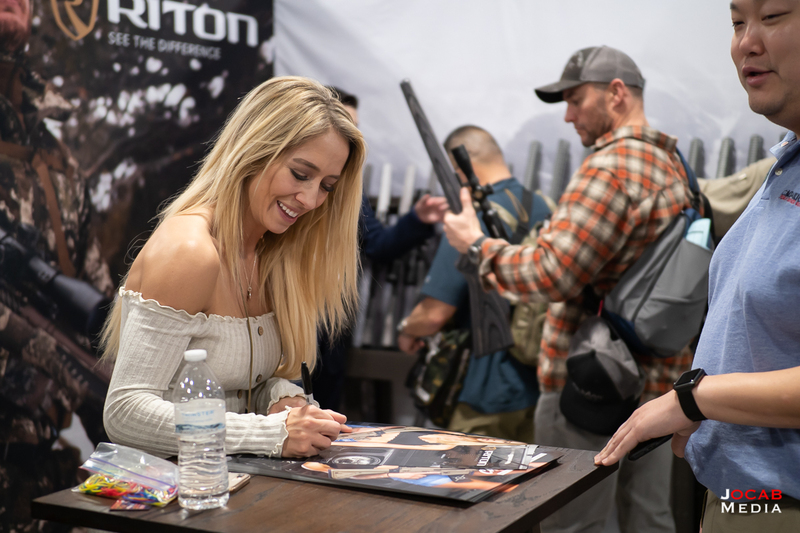 Be sure to refer to Part 0 of my 2019 SHOT Show After Action Report to run through any segments of my SHOT Show recap you may have missed.